Get anytime, anywhere access to over 3,500 review drills and resources for General and Professional Education, your Specialization, and a Mock LET. My Review Coach, MindGym Philippines’ online LET review program, has helped coach fifteen (15) LET topnotchers since 2011, recorded an 80-85% passing rate, and favorable experience feedback. 3,500 LET practice items for General Education, Professional Education, and your individual Specialization. Immediately track your scores on all answered drills. Summary notes and references on General Education, Professional Education, and your individual Specialization. Provided to enhance previous lessons from your undergraduate Education units. Consultation with MindGym coaches via monthly pre-scheduled Skype chats with co-reviewees, and email for inquiries, clarifications, and discussions on LET trends. Weekly Coach’s Notes – Receive additional weekly LET tips, insights, and news straight to your email inbox. Final Mock LET time-simulated exam which will train you to complete the LET within the time allotted. Your own computer or tablet device, constant Internet access (DSL), any internet browser, PDF Reader, a note-taking program, and a dedicated actual notebook where you may scribble down notes or questions you need to ask our coaches. You may check out our Frequently Asked Questions page for additional information. You will receive your access as soon as we confirm your payment (within 24 hours)..
Our online LET review program has helped coach fifteen (15) topnotchers since 2011, recorded an 80-85% passing rate, and favorable experience feedback. 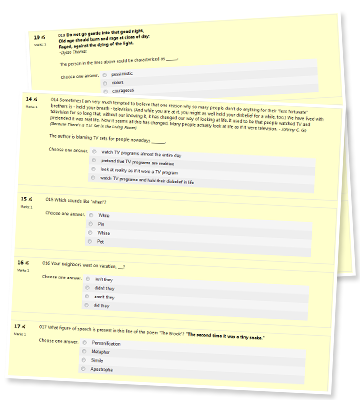 Access to review materials used by MindGym Philippines’ LET topnotchers, updated regularly to mimic the most recent LET. Focus your time and review efficiently for LET. Added confidence at a reasonable price! if mag enrol ako ng online review? Thank you for your inquiry about our online LET review. You may register at http://www.myreviewcoach.com then we’ll send you further details about payment options. ask ko po kung pwede pa po mag enroll nextwik ng let review ? Hi Roseviminda! Did you mean our online LET review or face-to-face LET review? And to answer your question, yes you may still join us for our online LET review next week. See you soon! 1. I want to enrol in your face to face review. Can i still catch up? 2. or if i will enrol in your onlne review, will there be a face to face final coaching? Hope this helps! See you soon! You may register now so we can just update you as soon as the Sept 2015 LET batch is open! Yes. The full schedule will be announced during class or you may call us at the office – 4375880 / 9860944.